Claremont - Bulldog Paving Inc.
We believe that the use of paving stones for your next driveway, patio, walkway or pool deck is going to enhance the overall appeal of your property. So, if you would like to set up a free consultation for your new paver installation or perhaps you want to seal your existing pavers? Then contact us today and we will discuss all of your options! Want something that is easy to hose down. 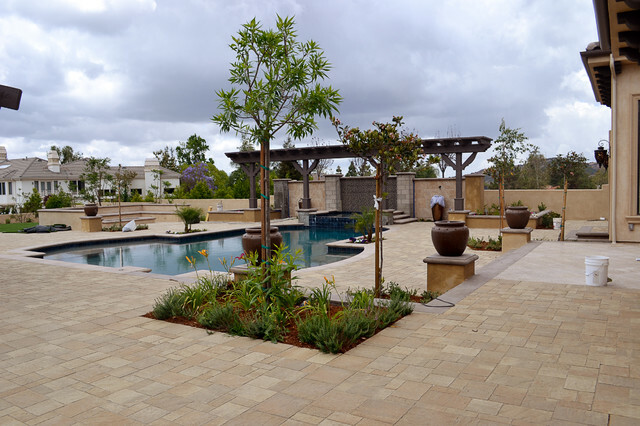 Pretty pavers Belgard Urbana Montecito. ?? Photos in Claremont - Bulldog Paving Inc.
Sheard Residence - Bulldog Paving Inc.